Proton pumps in the stomach are responsible for producing stomach acid. Lansoprazole works to reduce the amount of acid produced, which helps to relieve symptoms caused by excess acid production. It also allows your food pipe to heal, if it has been damaged by acid that has travelled from the stomach upwards. How do you take lansoprazole? You should take one capsule with water, once daily around half an hour before breakfast. Our clinicians prescribe lansoprazole for acid reflux and the usual dose is one capsule to be taken once daily in the morning. You should only take one dose, unless your doctor has instructed otherwise. If you have been told by your doctor to take two doses, you should take the second dose around half an hour before your dinner. Tablets or capsules should not be crushed. If you have difficulty in swallowing tablets or capsules, you should order orodispersible tablets. These tablets can be placed under the tongue and dissolve into the bloodstream. How long does it take for lansoprazole to work? Lansoprazole taken to treat acid reflux usually provides relief almost straight away. It may take a few days for the full effect of lansoprazole to be seen. If you do not experience any relief from symptoms after the first week, you should contact your doctor who may wish to carry out tests, or prescribe an alternative treatment. Can I take lansoprazole with other medication? Lansoprazole is safe to take with most medication. If you are taking the following medication, you should consult your doctor, as you may need to be monitored. You may need to have tests carried out, and you should not delay going to see the doctor. Is lansoprazole safe to use in pregnancy and breastfeeding? Lansoprazole should be avoided in pregnancy and breastfeeding. You should visit your doctor if you discover you are pregnant whilst taking lansoprazole. You should discontinue treatment and seek an alternative. There are similar treatments which are suitable for those that are pregnant or breastfeeding. Why can I not purchase more than 28 capsules of lansoprazole? Long term use of lansoprazole can increase the likelihood of bone fractures. If your doctor has prescribed you lansoprazole to take over a long period of time, you will need to be monitored to ensure that you have adequate levels of vitamin D, to minimise the chances of bone injury. The symptoms of acid reflux are similar in nature to stomach cancer. Lansoprazole can mask these symptoms, which could potentially be hazardous to your health. If you experiencing symptoms similar to acid reflux for more than 3 weeks, you should see your doctor as soon as possible. Taking lansoprazole for longer than 3 months can reduce the amount of magnesium in your body. Magnesium is required in order to maintain healthy glucose levels, heart beat and muscle and nerve function. Low magnesium can have a negative effect on your health and leave you feeling dizzy, tired, twitching and also increase your heart rate. If your doctor has authorised long term use of lansoprazole, and you wish to purchase more than a one-month supply, you can call us to speak to one of our pharmacists. Can I drink alcohol with lansoprazole? There is no interaction between alcohol and lansoprazole itself. However, alcohol increases the amount of acid produced by the stomach. Our clinical team recommend avoiding alcohol when experiencing acid reflux, in order to fully benefit from treatment. 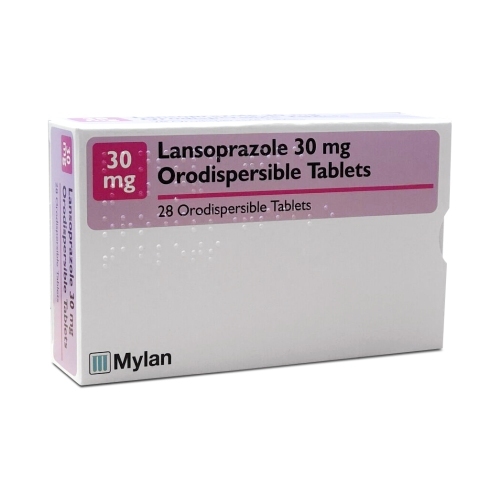 You can safely buy lansoprazole online from our UK regulated pharmacy. If it is safe to do so, our clinical team will issue a prescription once a consultation has been completed online. The prescription is then dispensed in our pharmacy, and dispatched using a next day delivery service. Our pharmacy team is available at any time from 9am – 7pm, Monday to Friday.